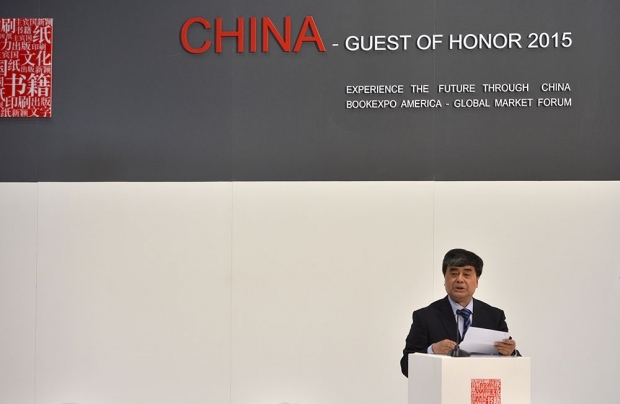 Wu Shangzhi, Vice Minister of China’s State Administration of Press, Publication, Radio, Film, and Television, delivers opening remarks at a ceremony during BookExpo America’s Global Market Forum in New York City, May 27, 2015. Our colleague Zhang Xiaoran visited the convention to interview A Yi, a best-selling novelist who started his working life as a small-town policeman and whose novels—like those of several of the other novelists in group—were on sale in translation. She found the novelists, literary celebrities in China, wandering the massive hall at loose ends—left to fend for themselves after a series of forlorn readings and poorly attended panel discussions. Zhang wrote the following account of her visit to the expo in Chinese and posted it on Chinese social media on Friday. It quickly went viral. It was viewed 15,000 times on the WeChat account of the Beijing News after the account reposed it. After that, says a staff member at the Beijing News, the newspaper’s editor-in-chief received a phone call from the Propaganda Ministry asking for the post to be deleted, and so it was. The same thing happened when Phoenix Books—the book section of the website of a major Chinese television network—posted the piece. It has been viewed 15,700 times on the social media accounts of Asia Society’s Center on U.S.-China Relations. The article elicited a lot of commentary from online readers. The majority of commenters expressed shock that such celebrated writers would meet with such a cool reception in the U.S., and many focused on the difficulties of bringing Chinese culture abroad. When Su Tong, Bi Feiyu, and A Yi—three of China’s best known writers—arrived at the table set up for them to sign books, they found not only no one waiting in line, but also no pens. 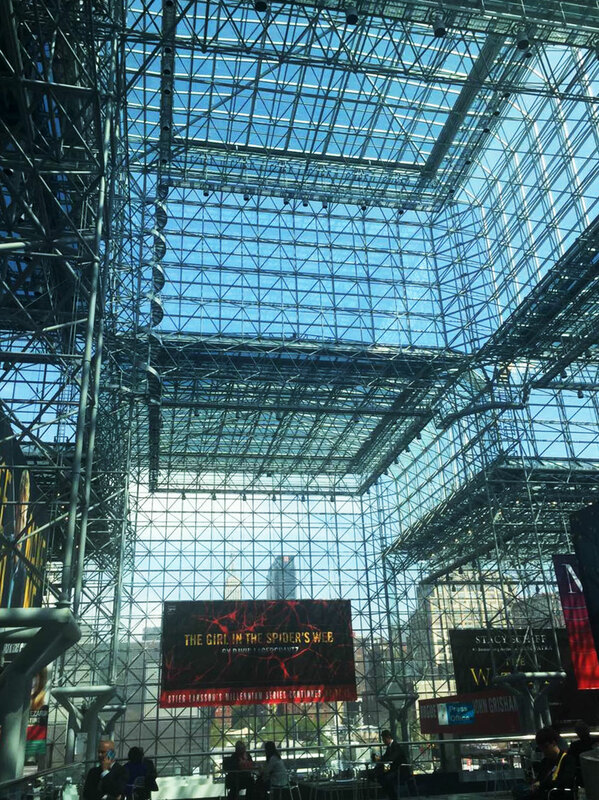 It was May 28 at one in the afternoon on the second day of BookExpo America, where China was this year's guest of honor. 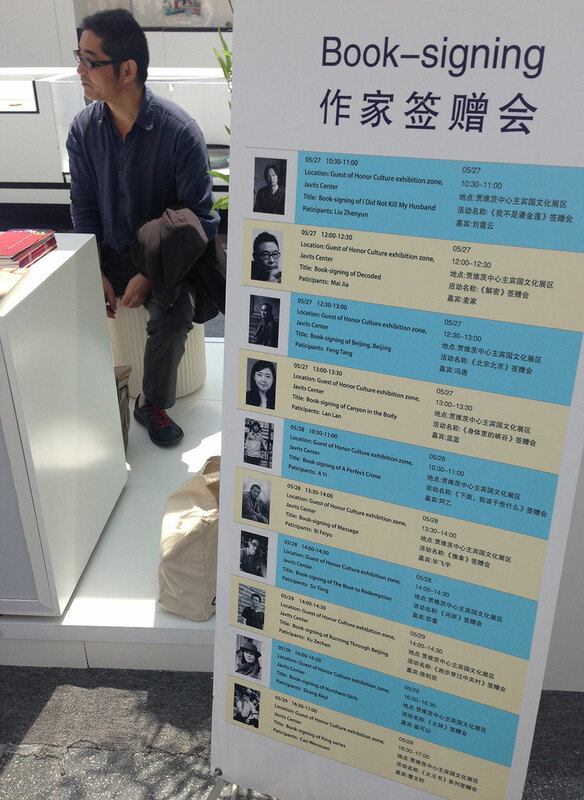 Su Tong sits next to a five-foot tall poster showing the book-signing schedule. The book-signing was billed as a “book giveaway,” which meant that English copies of the authors' books would be given away for free after the authors signed them. But even so, during the hour I hung around, only ten conference-goers stopped by, more than half of whom were attracted by the letterpress machine that sat on the authors’ table. To give the authors a place to sign books, event organizers had co-opted a table used to display a Chinese letterpress machine, and next to it set up a five-foot-tall poster board listing the times for each author's book signings in miniscule type, so that passersby needed to walk straight up to the board in order to read it. In the 1,800,000-square-foot expanse of the Jacob K. Javits Convention Center, the poster was about as conspicuous as a thumbtack on a wall. According to a publicity brochure, ten Chinese authors—Liu Zhenyun, Mai Jia, Feng Tang, Lan Lan, A Yi, Bi Feiyu, Su Tong, Xu Zechen, Sheng Keyi, and Cao Wenxuan—were assigned half-hour time slots on May 27, 28, and 29 during which to sign and give away their books. A Yi, a best-selling novelist, told me that delivery of copies of the English edition of his novel A Perfect Crime had been delayed en route from London by “a global outbreak of human procrastination,” and so his book signing had to be canceled. Copies of Feng Tang’s Beijing, Beijing arrived a day late, disappointing the forty-odd fans who showed up at the advertised time. There were, however, plenty of Bi’s and Su Tong’s books, which resulted in the scene described above. Bi Feiyu, after sitting at the table for a few minutes, sensed that things weren’t right. After retrieving ten copies of his own book from a box behind the table, he whipped out a pen, signed them one after another, and sauntered off without a word. A Yi, second from left, waylays a conference-goer so that Bi Feiyu, right, can give her a book. It was not for lack of funding that “China’s best authors” drew so little interest. 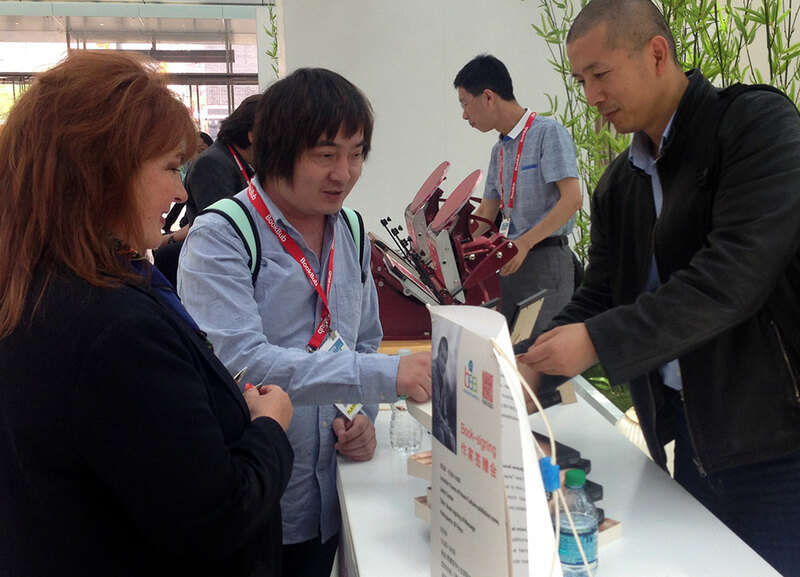 As the Guest of Honor at this year’s BEA, China sent the largest delegation in the convention’s history. Over five hundred people, including representatives from almost 150 Chinese publishing houses, as well as some 50 authors, came to the five-day convention bearing books and publications of all kinds, during which they attended close to 300 events. One group alone, the China National Publications Import and Export Corporation, flew 25 authors to America to attend the convention. 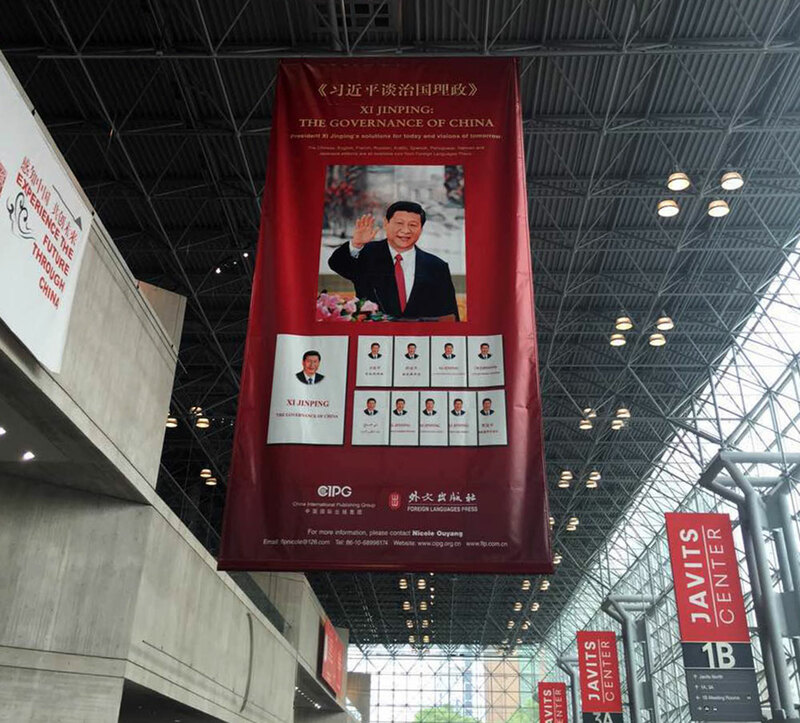 A massive poster of Xi Jinping, hanging in the lobby of the Javits Center. The exhibition and related events took place at the Javits Convention Center, and authors also participated in various off-site events hosted by other organizations. Because the $104-a-day price of admission deterred most ordinary readers, the events in the convention center were primarily attended by the booksellers and publishers who flew in from all over the world. The number of attendees at off-site events varied according to the ability of the sponsoring organization to get the word out. At a literary salon held on the evening of May 27 by the Confucius Institute for Business at SUNY, eight Chinese authors—Liu Zhenyun, Bi Feiyu, Feng Tang, Xu Zechen, Lan Lan, Cao Wenxuan, He Jianming, and Zhao Lihong—took the stage, and about 100 people attended, of whom roughly 90 percent were Chinese. The same evening, a screening of Fly with the Crane at the Brooklyn Public Library drew only a dozen or so viewers. On May 28, the symposium “Xi Jinping: The Governance of China” took place in the convention center, attracting 100 participants including Cui Tiankai, Chinese Ambassador to the United States, and Robert Lawrence Kuhn, Chairman of the Kuhn Foundation. From that point on, Chinese media platforms were flooded with accolades for the “success” of the BEA and the fact that Xi’s book had sold 4.5 million copies globally in half a year. 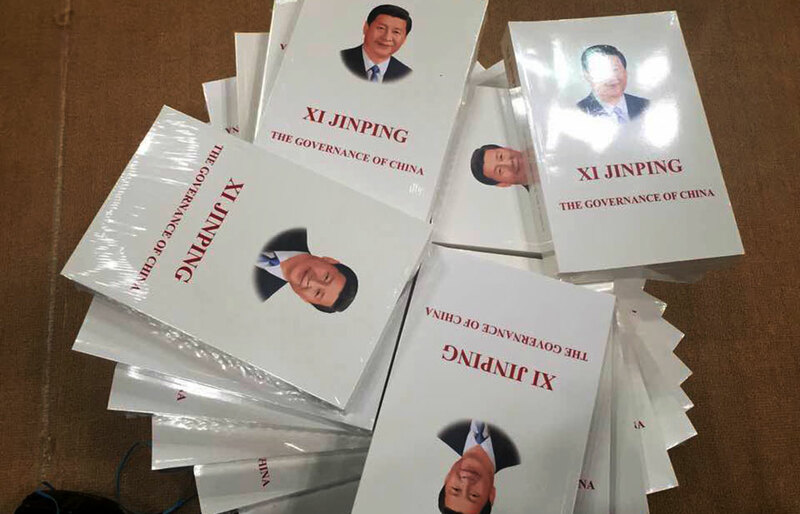 Copies of President Xi Jinping’s ‘The Governance of China,’ stacked on the floor at the BookExpo.